Trick or Treat? 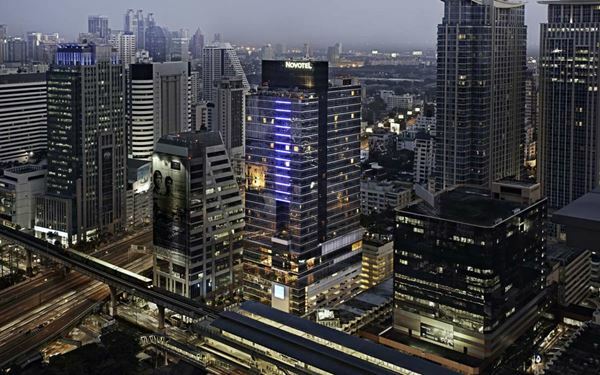 Novotel Bangkok Ploenchit Sukhumvit brings you another fright Friday feast on this Halloween! 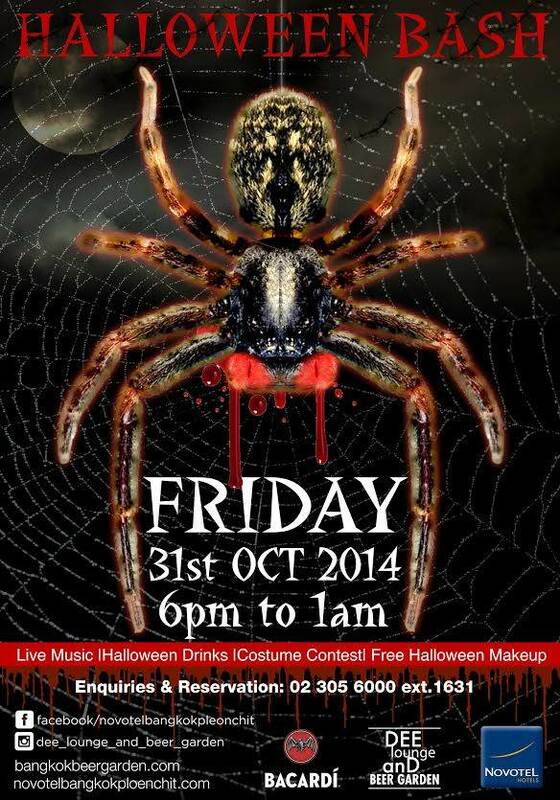 Come and join our Halloween Bash - the spookiest celebration at Dee Lounge and Beer Garden on Friday, 31st 2014. Pick your best Halloween costume, grab a group of friends and enjoy our Halloween Bash. Not only do we offer free entry to all but receive one free Negra Shot from Barcardi for guests arriving in Halloween costume. Halloween Bash also features the festive theme of Halloween, free Halloween face painting, and great live music to keep the party going throughout the night. In addition to the regular food and drink offers, Dee Lounge and Beer Garden serves spooky cocktails such as Black Bat, Mad Eye and Blood Worms (special receipes from Barcardi Thailand, priced at only THB 199 net per glass) on this Halloween Bash evening. We dare you to try it! Guests ordering these Halloween cocktails can also enjoy our spooktacular Halloween tapas, from 6pm to 9pm.